Western North Dakota is very different from the rest of the state you see while traveling Interstate 90. Interstate 90 makes a razor cut across the bottom third of North Dakota, trough endless farm and ranch country, not flat but with little relief beyond the occasional roll of a hill or crossing of a creek. 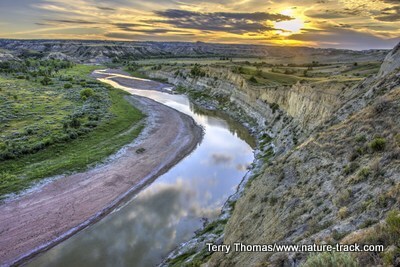 Western North Dakota though, is home to badlands with deep canyons and high hills—rugged, forbidding and inspiring at the same time. 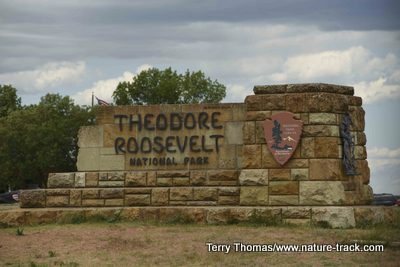 It was this country that lured young Theodore Roosevelt from his home and budding political career in New York. He needed time, space and hard work to help him to recover from the festering wound of losing his mother and his wife on the same day, Valentine’s Day, 1884. 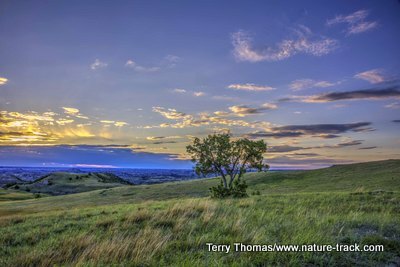 Here, he bought two ranches and lived a hard life and developed the conservation ethic that would one day help him to conserve over 230 million acres of this great country in parks, monuments and wildlife refuges. 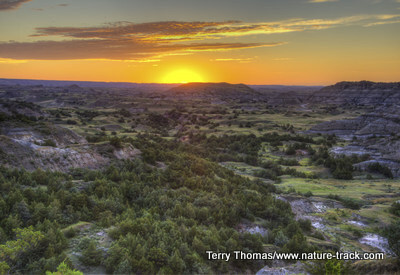 Theodore Roosevelt National Park, the only national park named for a person, encompasses one of Roosevelt’s ranches, Elkhorn, but it does more than that. It captures the open and sometimes harsh country, the heart of what Roosevelt loved. 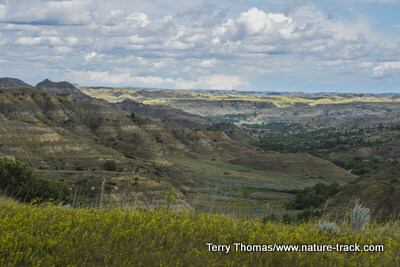 To get to TRNP, plug Medora, North Dakota into your GPS and hit the road. It is about a 12-hour drive from Idaho Falls through Bozeman, Billings and Miles City, Montana. If you are towing a trailer, be aware that the Montana crosswinds can be miserable and may add a little time to your travels. 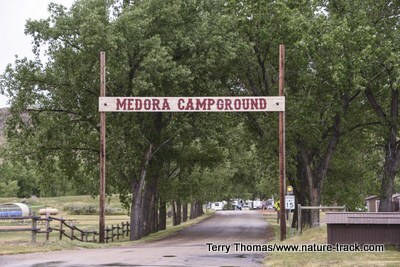 We spent the first night in the very busy Medora Campground just outside the park. Medora is well-known for its melodrama playhouse which attracts patrons from all over. 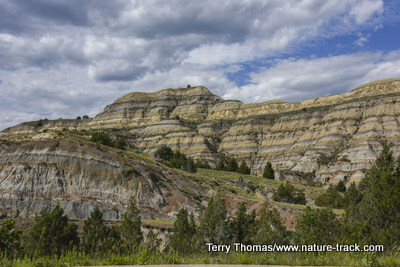 Weekends are the most popular, and when we pulled into Medora late in the afternoon, we were lucky that they could squeeze us in to an emergency spot. The next morning, we headed into the South Unit of the park early, intent on getting a campsite inside the park’s 60-unit Cottonwood Campground. That was not as difficult as we had anticipated as many sites opened up before noon. As camping goes, it was a very nice campground. There are no hook-ups but the sites are mostly wooded and the campground was exceptionally quiet—so much so that we declined to use our generator at all even though it was allowed. Every evening there is a ranger-led presentation at the kiosk. 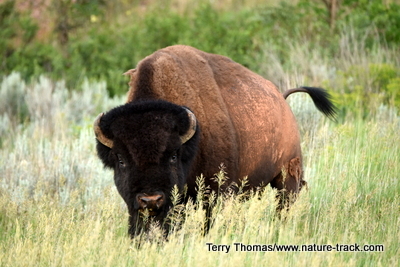 We attended one of these and learned a lot about bison. Other presentations included astronomy and history. The South Unit comprises over half the park and has a 36-mile-long loop road. Wildlife abounds in the park, partly because an eight-foot fence surrounds both units, keeping wildlife on the 70,000 acres. 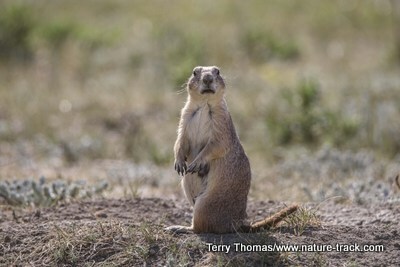 Black-tailed prairie-dog towns are star attractions and can be found in several places. These engaging animals are very entertaining when you sit and watch them for a while. Wild horses are another big attraction. They were fairly easy to find as they seemed to hang out along the roads in places. 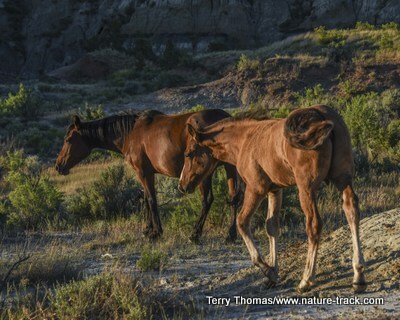 The park very strictly manages the wild horses to ensure that they do not over populate and damage the range land. 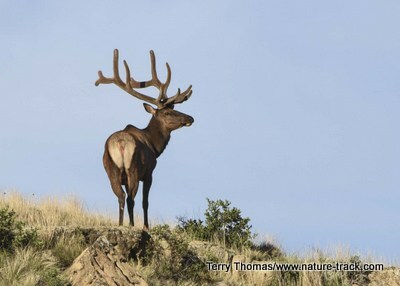 We were fortunate to find three large bull elk two days in a row, just a few miles from the campground. 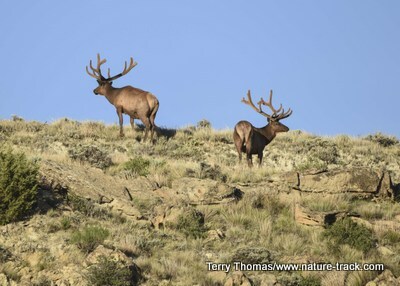 These boys were a little shyer than the wild horses, but they still put on a show. Bison seemed to be a little hard to find at first with just the occasional bull. 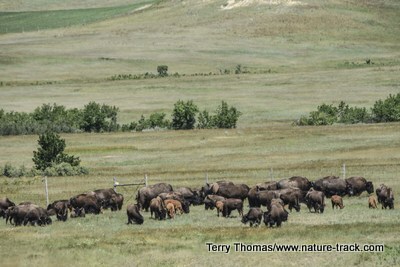 After a couple of days in the park though, we started to see large herds reminiscent of Yellowstone. 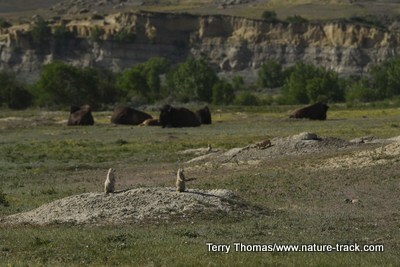 Once, while photographing prairie dogs and not paying attention to what was going on around me, I found myself nearly surrounded by bison. I radioed Cathy to come pick me up before I ended up skewered like a shish kabob. There are plenty of trails to hike and we took several of them. We especially liked a short one to the top of Buck Hill. 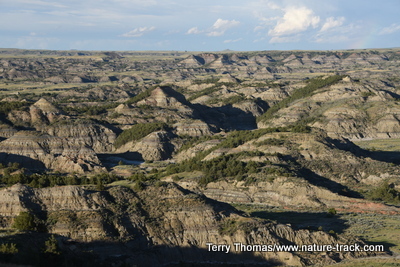 This is the highest point in the park and offers terrific vistas in every direction. The views from the top of Buck Hill are spectacular. Wind Canyon Trail offers some of the best sunsets in the park. It is short and easy too. 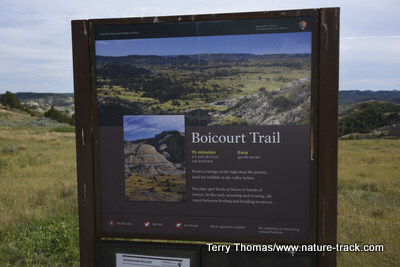 Another favorite trail, also known for sunsets, is the Boicourt Trail. The sign says it is only one third mile long but you can go further than that to the end of a small ridge. 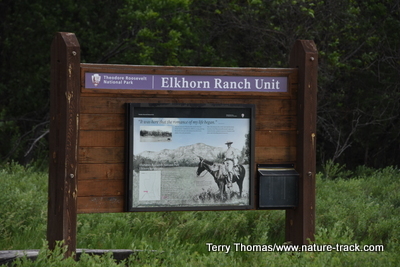 On day two, we decided to go to the Elkhorn Unit and visit Roosevelt’s ranch. This is not as easy to find as you might imagine for a national park. First, you get on the interstate and head 23 miles back toward Montana. Get off at Beach, North Dakota at Exit 1, and head north. It is 27.4 miles to the turnoff on Blacktail Road. There is another road off Exit 23, but it is under construction and may be impassable. Ask at the Visitor Center for exact directions and to find if the road work is completed yet. 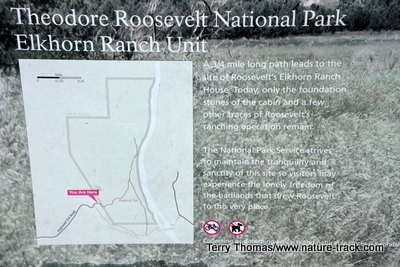 Trailhead into where Roosevelt's cabin and barn stood. Roosevelt's cabin was just about 100 yards from this site on the Little Missouri River, about three quarters of a mile from the trailhead. 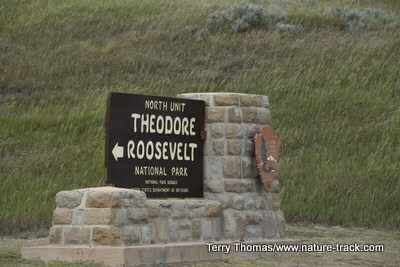 Roosevelt had another ranch, about 40 miles north of Elkhorn. If they rode hard, they could make it in a night (traveling at night was much cooler). There they would stay in the a cabin he named the Maltese Cross Cabin. This cabin has been moved to the Visitor Center at the south unit and is available for tours. 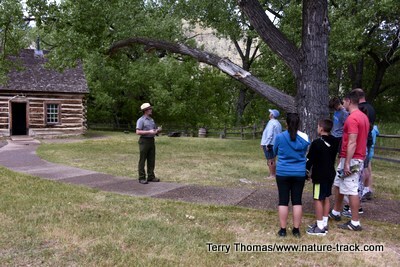 Rangers lead tours of the Maltese Cross Cabin throughout the day. On Sunday, we dropped into Dickinson to church and stopped at the TRNP Painted Canyon overlook and visitor center on our way back. This overlook is worth the stop, especially if it is a nice day. Rain chased us away after just a short visit but there is a trail that drops down into the canyon. 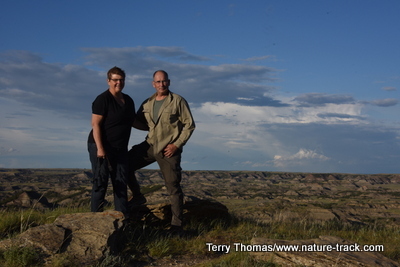 We decided to go to the North Unit for a day visit instead of move our camp up there. The North Unit is about 70 miles away. Head east on I-90 to the exit for Highway 84 (about 18 miles from Medora). Head north and follow the signs. This is the home of the Bakken Oil Field that has been in the news so much. You will see oil wells just about everywhere you look. 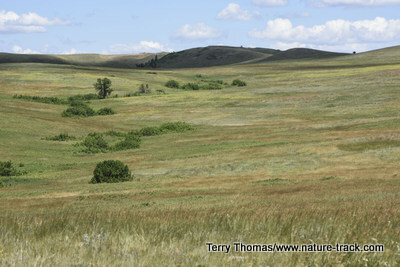 The North Unit ranges in terrain from river bottoms to rugged badlands to rolling grasslands. The North Unit is smaller than the South Unit and has only a tiny visitor information area (too small to call a visitor center). Juniper Campground is large though and they told us that it never fills. We drove through the campground and found it quite nice. The North Unit has only one road, about 18 miles long. It is an in-and-out road, not a loop but we didn’t mind that. 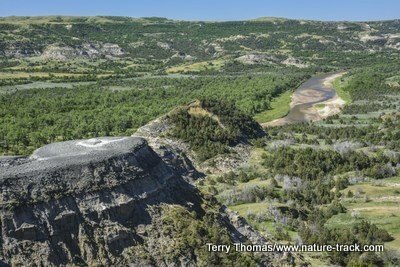 There are numerous pullouts and hikes along the way and River Bend Overlook offers excellent views of the Little Missouri River, and is reported to be the most photographed spot in the park. We found the North Unit every bit as interesting as the South Unit. There were plenty of bison, the hikes were fun and the crowds were non-existent. Our final visit was to the petrified forest segment in the south section. To get there from Medora, get on I-90 heading west and get off on exit 23. Follow the road north for 6.2 miles and follow the signs. 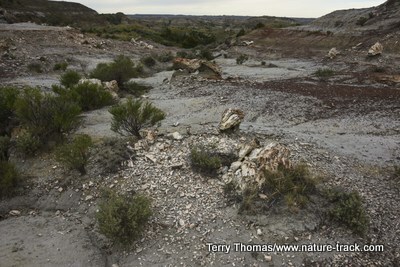 The hike in is about half a mile to a junction where you choose to go to the north or the south petrified forest. It was only another half mile to the north section and we had been told it was the better field to visit so we went left. This was one of the largest intact pieces we could find. 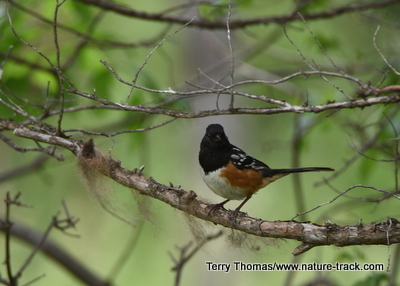 Along the way we saw our first Bobolink and several Spotted Towhees. 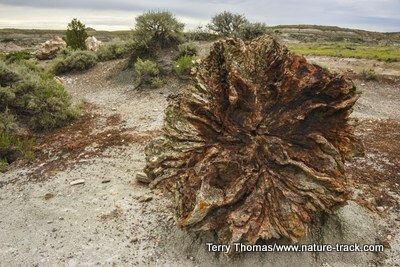 The petrified forest was about 60-80 acres in size. The petrified wood was so old that it was crumbling. Most of the pieces were fairly small when compared to other petrified forests we have seen. It was interesting, but not as pretty as the petrified wood of Petrified Forest National Park. All the fine white pieces in the foreground are shards of petrified wood. This is truly an ancient forest. 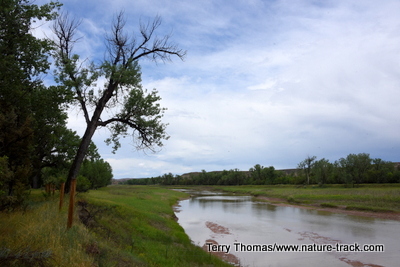 If you cannot find a campsite at either Cottonwood or Medora, there are a couple more options. 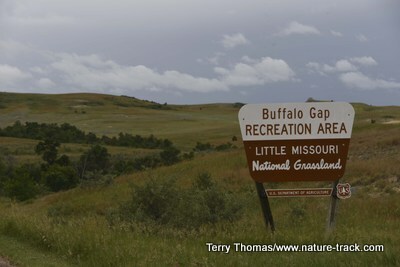 On our way back we stayed at the Buffalo Gap Campground, a Forest Service campground just eight miles west of Medora. It is a very nice campground and only costs $6/night. It has flush toilets and showers too! 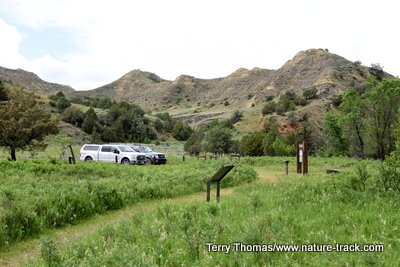 The other option is a state park just east of Medora (get off at Medora and drive east through town). Head south just outside of town and go to the Sully Creek State Park. 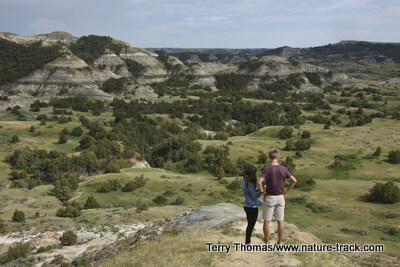 We would love to go back to Theodore Roosevelt National Park. 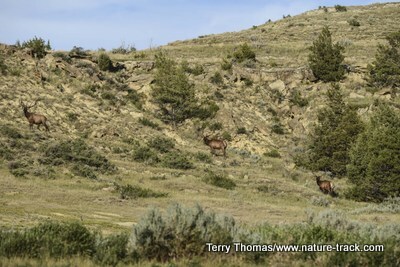 I would like to visit a little earlier in the spring when it is at its greenest and again in autumn when the elk are rutting and fall colors are starting. We hope to see you there!